First frost is always a hectic time around here. The day before sees Rebecca and me running around trying to harvest everything that won’t survive the frost intact (such as tomatoes, okra, and eggplants). We had our first frost on Saturday, so we spent the day trying to get everything picked (after waiting until the last second for the plants to grow as much as possible. On Sunday Rebecca and I went out to the garden to start picking the items that actually require a frost to taste good. 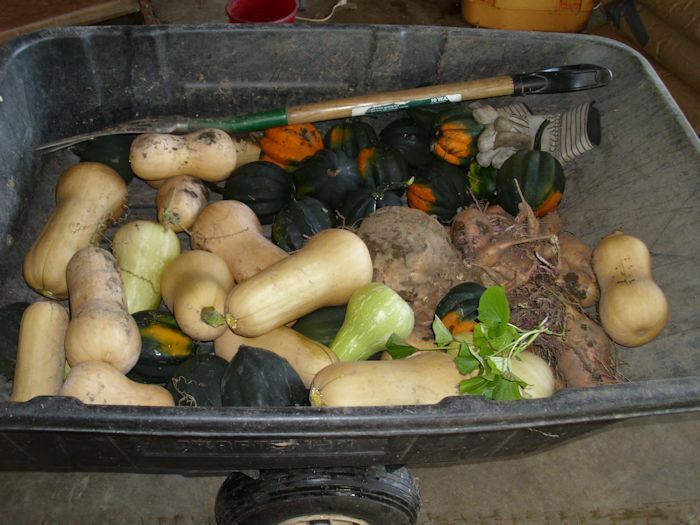 This year we started with the squash and sweet potatoes. Despite the bad summer, we ended up with a nice assortment of both butternut and acorn squash. It wasn’t our largest harvest, but it was a lot more than we expected considering we didn’t plant that many plants. We actually had squash growing up inside the tomato cages. The squash performed amazingly well this year. I wish we had planted more of them. However, the big news for us was the sweet potatoes. We planted just one plant and expected to receive four or five standard sized sweet potatoes and a few smaller ones for our efforts. 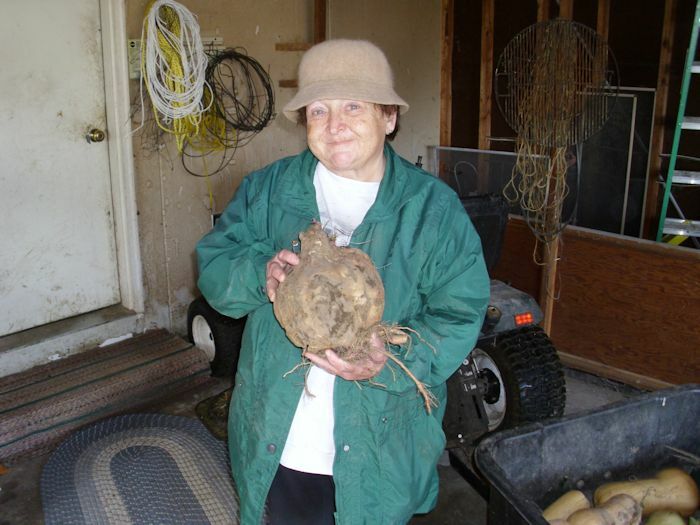 What we received instead was eight relatively large sweet potatoes and a wealth of smaller ones. The largest sweet potato is a monster that weighs nearly 7 pounds. Yes, that really is just one sweet potato. It’s misshapen, but there is only one little crack in the surface and the potato is quite firm. I was expecting something around four pounds, so we were both surprised when we weighed it and the scale showed 6¾ pounds. We’re planning to use this one sweet potato to feed our entire family during Thanksgiving this year. I’m not sure how we’d be able to use it otherwise. That’s one big potato. I’ve said it before and I’ll say it again, Every Year is a Good and a Bad Year. 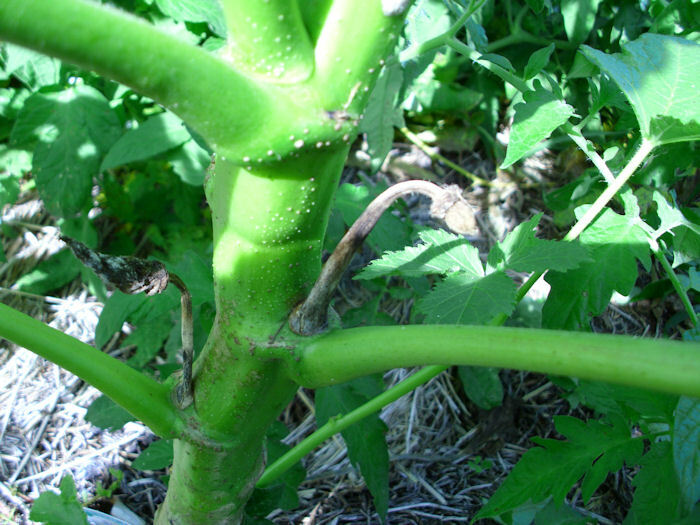 This year we had great results with okra and squash. 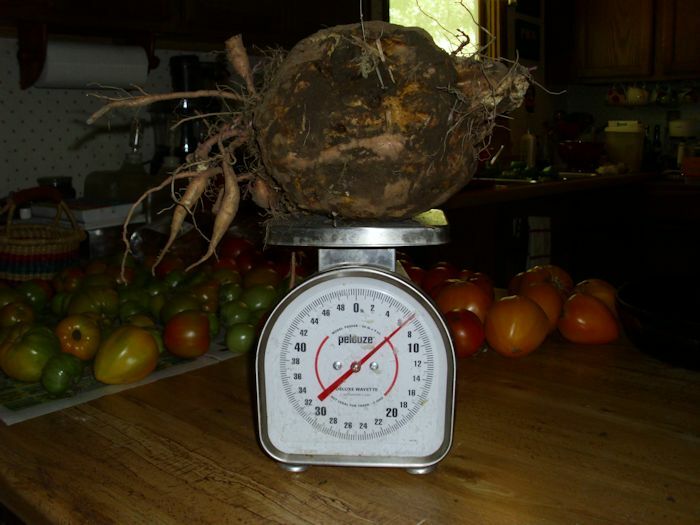 We’ll never forget this monster sweet potato though. What did well for you in your garden this year? Let me know at John@JohnMuellerBooks.com.